How Far is EIPL Apila? EIPL Apila, Where Life Touches You In Abundance. 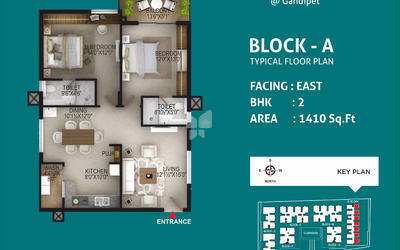 come and explore the evolved lifestyle at Gandipet, Apila redefines the meaning of joy with vibrant colors and shades. Why you want to settle for an ordinary apartment when you can have the spacious, well-designed apartment which offers community living, needs will keep on changing according to latest trends, Apila is designed with trending modern concepts. Each space is crafted carefully according to the needs of the residents. Joy can be found in many ways for the resident. For you, it is coming home. EIPL Apila is surrounded by nature you can enjoy the view each and every day and Gachibowli, Kondapur, Wipro X road, APPA Junction and other key locations are there in the vicinity, you can enjoy the cool and fresh air coming from Gandipet lake which will just relax you. You can enjoy all this and even more if you are a resident of EIPL Apila. Come and find your reasons to be happy in this 6-acre gated community with 7 towers spread across G+9 floors with 470 hi-end units where you can find 2BHK and 3 BHK apartments. 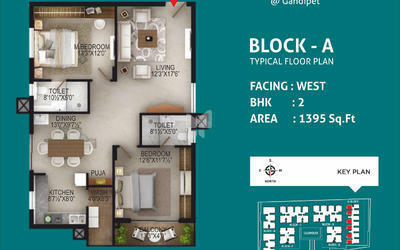 The project offers the apartment for sale in Gandipet in Hyderabad, where the 2BHK flats super built-up area is 1395 Sq ft, 1410 Sq ft and 3BHK flats super built-up area size vary from 1910 Sq ft to 2655 Sq ft. Some of the amazing amenities provided at EIPL Apila are terrace swimming pool with kids pool, yoga and meditation hall, Multipurpose hall, gym and more. EIPL group is a conglomeration of eminent individuals with academic and professional expertise in financial engineering, project management, production planning, marketing communications and business strategy. Being a renowned developer, the builder has created a benchmark in the field of realty through their har work. One such project of the builder which is developed with deep insight on the builder’s need is EIPL Rivera planned with 2 & 3BHK villas for sale in Hyderabad. One of the upcoming projects of the builder is La Paloma Villas which is planned with 3BHK Villas for sale in Mokila, Hyderabad. 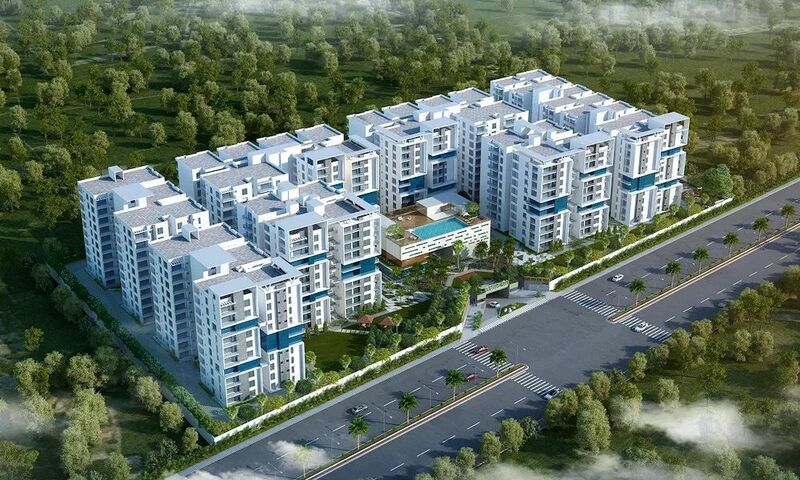 Also, EIPL Skyila one of the apartments project of the developer being developed with spacious 3BHK flats for sale in Puppalaguda, Hyderabad. EIPL Group is one of the renowned real estate developers in India also the builder is also in all the major residential happening cities of India. EIPL has been developing projects which are biased with nature, ultra-luxurious living spaces, compact homes, well planned apartments, budget housing projects. EIPL has also developed some projects which go with a tagline of Luxury at affordable prices. Professionally managed company dedicated to meaningful transformation of locales. The team brings the same strengths to property development field with a clear focus on enhancing living standards of its customers. The company’s projects make valuable contribution toward meaningful transformation of the locales as well. Integrity, trust and technology are the keystones on which the company plans to create a new generation of value enabling real estate entities. We are one of the first people to start residential housing communities in Alakapuri Township, and Kollur. As a person of high expectations, you are ambitious and work smart. You will need a world built around you that enriches daily living as every moment is measured in joy.